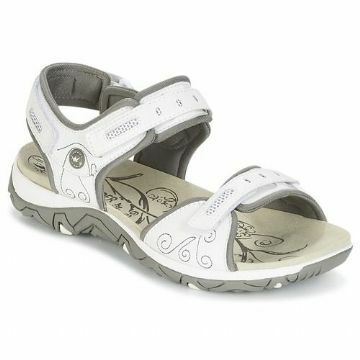 Elegant MOBILS ladies’ sandal with a light wedge heel and holding straps at the heel, the bridge of the foot and the forefoot. Hook and loop fasteners on all the straps guarantee pressure-free, stable support und allow the sandal to be slipped on and off easily. 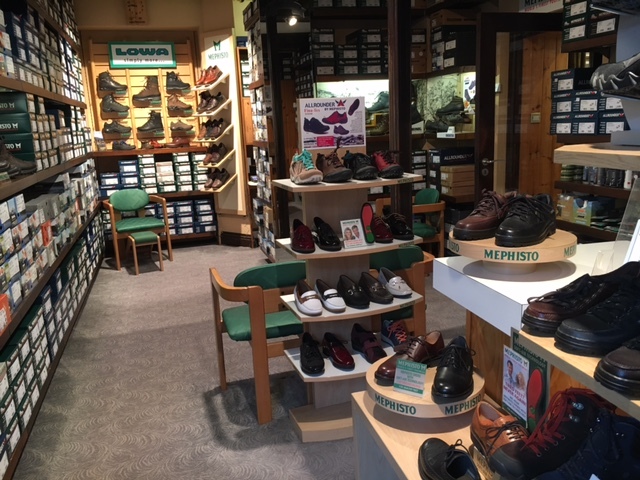 The exchangeable, anatomically shaped premium footbed of 100% natural cork with integrated SOFT-AIR TECHNOLOGY enables downy-soft, fatigue-free walking. 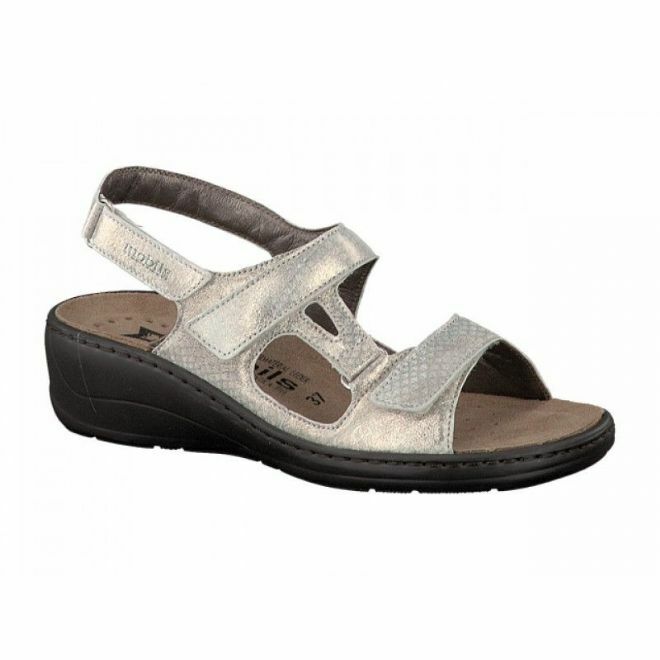 The sole with ULTRA-LIGHT technology guarantees ultra-light walking pleasure.